FileBear is a file sharing software that fits most purposes. It allows you to share files with your friends, colleagues, use it as a personal file storage platform or even provide premium features to your customers. 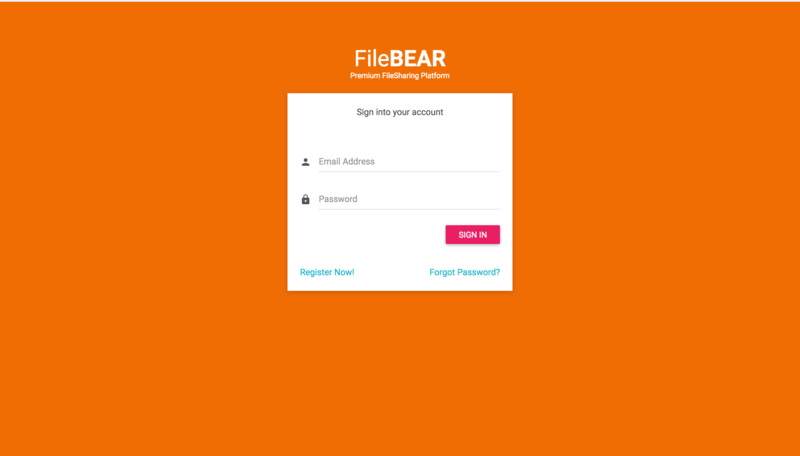 FileBear allows you to organize your files within different folders. It is possible to move files and folders around via drag and drop. If you need to access specific files on a frequent basis you can mark them to be highlighted. Users can buy a premium subscription if they wish to. They are able to select different payment terms and/or payment methods. If notifications are enabled they’ll get notified when there subscription is about to run out. A renew option is then displayed in the user dashboard. If configured users will receive notification emails for various types of account activities. All important informations on one page. 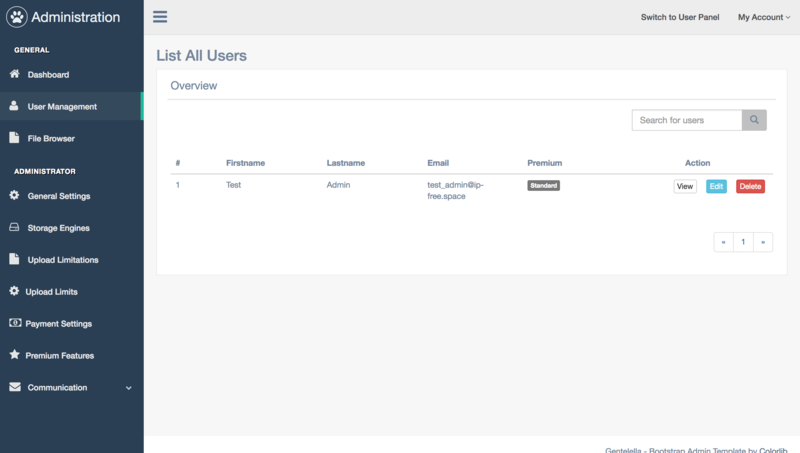 View all your users, change their details and edit premium subscriptions. If needed you can manually delete a user too. Display all files your users have uploaded. If needed you can delete files. By default three types of storage engines are supported. 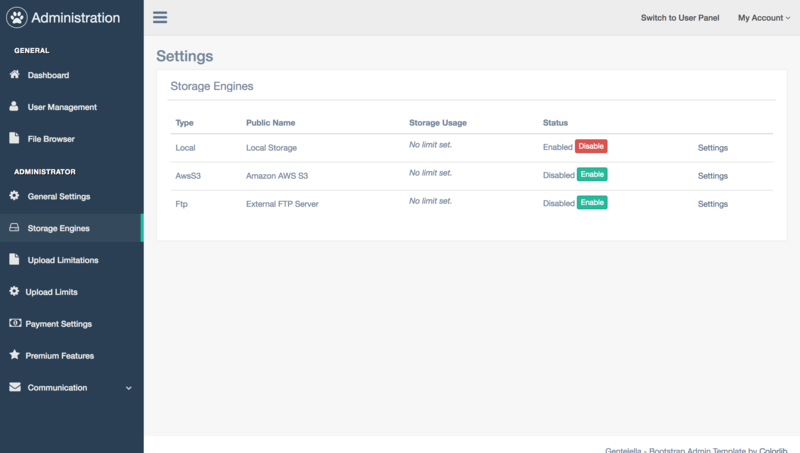 You can either enable Local Storage, FTP Storage or Storage in AWS3. 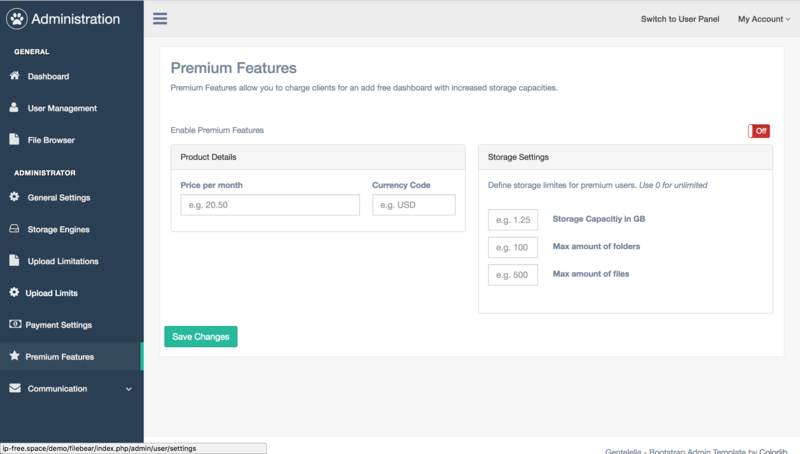 If premium features are enabled, two payment engines are available by default: Paypal and Stripe. You can also define multiple payment terms with additional discounts. You should always keep your users up to date! That’s why a rich set of email templates are already implemented. 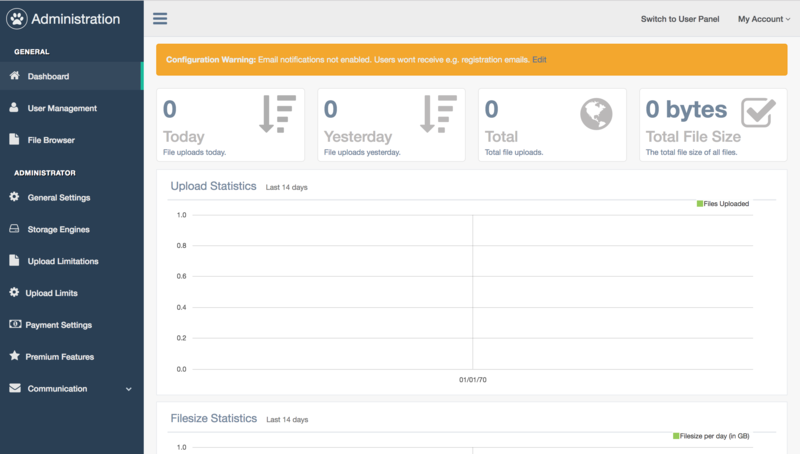 You can send notification emails to your users via a configured SMTP server. If you want to, you can customize each notification template. All files uploaded using our tool, are within your own responsibility. We can not be held accountable for any files uploaded using our software. Further we can not be held accountable for any loss or damage resulting from a defect in the software.